Have you ever wondered: Where can I find a quality mattress in Michigan? We have combed through highly ranked mattress stores throughout the Great Lakes State and found the mattress shops with the best customer service, best quality mattresses and most convenient delivery services. You will find all of the best brands and styles that you have come to know without the hassle of pushy overbearing sales representatives. The following mattress shops are listed by city. Below you’ll find affordable, quality, and even non-toxic and organic mattresses across the state of Michigan. Have you ever wondered: where can I find a mattress store near Detroit? We found some of the top ranked mattresses in and near Detroit to answer that exact question. Michigan Discount Mattress (24774 Crestview Ct. Farmington Hills, MI) is a great mattress store near Detroit. Here you will find mattresses of all styles and sizes. Michigan Discount Mattress accepts walk-ins and has several convenient pickup locations situated across the state of Michigan. If you are looking for high quality customer service and a mattress to fit you and your budget, Michigan Discount Mattress is one of the best. When in downtown Detroit why not try out Danto Furniture (7701 W. Verner Highway). Danto Furniture has provided quality customer service for nearly 80 years. The sales team ensures that you are able to take your time, and will help you select a mattress that matches your sleeping patterns. If you’re looking to shop local, Danto Furniture is a great pick- family operated since 1940. If you need to shop organic, you can find an organic mattress shop near Detroit- Earthscape Home (23622 Woodward Ave. Pleasant Ridge, MI). Here you will find all natural organic mattresses and furniture as well as a knowledgeable staff that will make this process of purchasing an organic mattress incredibly easy. If you are looking for where to purchase a mattress in Grand Rapids, look no further. We have taken a look at some of the highest ranked mattress shops for customer service and quality and here’s what we found: The Mattress Store (2733 28th St.). The Mattress Store is not only conveniently located but also provides quality mattresses at affordable prices. The staff is extremely knowledgeable and will not pressure you to purchase something outside of your price point. This family-owned business is a great place to head when looking for a new mattress. If you’re located a little further North, head to Mark’s Mattress Direct (5428 Northland Dr. NE). At Mark’s Mattress Direct you can find no-pressure salesmanship, quality customer service, a high quality mattress, and same day delivery. Mark’s Mattress Direct has everything you’re looking for when purchasing a mattress. If you’re looking for an affordable mattress, you’re in luck! Grand Rapids is home to a Mattress Firm Clearance (3583 28th St. SE). Here you will find all of the name brand mattresses you’ve come to expect from Mattress Firm at a much discounted price. Mattress Firm Clearance is perfect for anyone who is looking for quality on a budget. 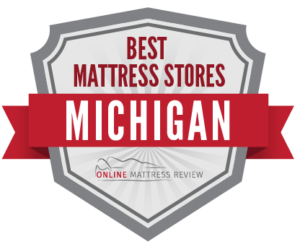 If you are wondering where is there a mattress store near Ann Arbor, check these out! Van Winkle Mattress Company (907 N Main St.) is located in the heart of Ann Arbor and is the perfect mattress shop for students and families alike. This is a small local business. You will find great customer service and a personal touch. Same day delivery is available. There are a couple of PureSleep locations across the city of Ann Arbor. If you’re in the Northwest, try the PureSleep on Jackson Ave (2570 Jackson Ave.). You will find familiar name brands, a helpful staff and the convenience of next day delivery. PureSleep has an additional location for those who live in points south (Ann Arbor, MI 48104). Don’t be fooled by the name, Big George’s Home Appliance Mart does carry mattresses in their Ann Arbor location (2023 W. Stadium Blvd.) Big George’s offers a great shopping experience, knowledgeable staff, and convenient 2 day delivery. If you’re in the Upper Peninsula of Michigan, no need to drive to the lower just to purchase a mattress. Shunk Furniture (364 US 41 E Negaunee, MI) offers mattresses and office supplies and is conveniently located in Negaunee. When it Marquette, you will find a number of mattress shops including Walker Furniture of Marquette (308 State Highway), Lafrenieres Furniture (342 Rail St.) and Art Van Furniture (2873 US HWY 41 W). At Art Van you will find quality customer service and a wide selection of mattresses to meet every price point.